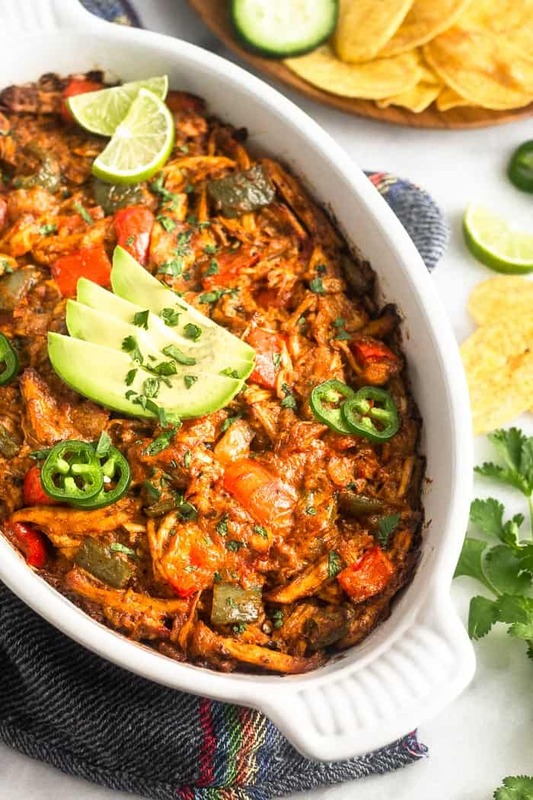 Baked Chicken Enchilada Dip is packed with chicken, veggies, and a spicy homemade enchilada sauce makes a healthy, lightened-up, flavor packed dip, appetizer, or game day dish! This post is sponsored in partnership with Yellowbird Sauce. All opinions expressed (as always) are my own. I only partner with brands I trust and personally recommend – thank you for your support in helping make Eat the Gains possible! Dips. They are my absolute favorite part of any party. Whether they are packed with meat, veggies, or just a simple homemade salsa, you can’t go wrong. The fact that you eat them with chips make them even better. 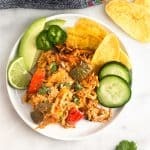 I’m a sucker for buffalo chicken dip, but I wanted to get a little more creative and went the Mexican inspired route. 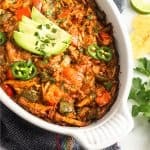 I’m sure happy I did because this spicy chicken enchilada dips encompasses all those flavors of chicken enchiladas, with the addition of some veggies, and makes a delicious dip! I love anything spicy. More often than not I am adding some kind of hot sauce to my meals. Trying and discovering new hot sauces is one of my favorite ways to keep food interesting. 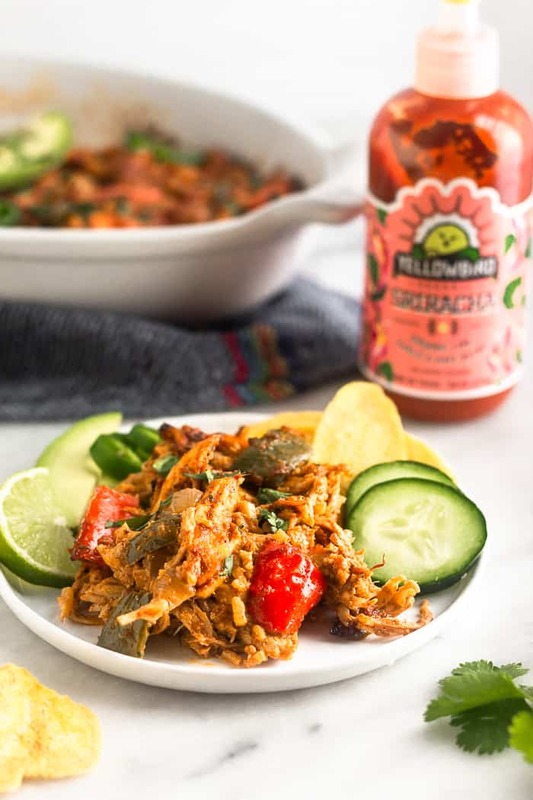 We moved to Austin in 2014, and it was then when I discovered Yellowbird Sauce and fell in love! They use real fruits and veggies to make a flavor packed, thick and smooth, absolutely delicious sauce. Yellowbird supports farmers and are committed to sourcing 100% organic and direct trade. That means they support farms and farmers that focus on growing real food the right way. My kind of company! 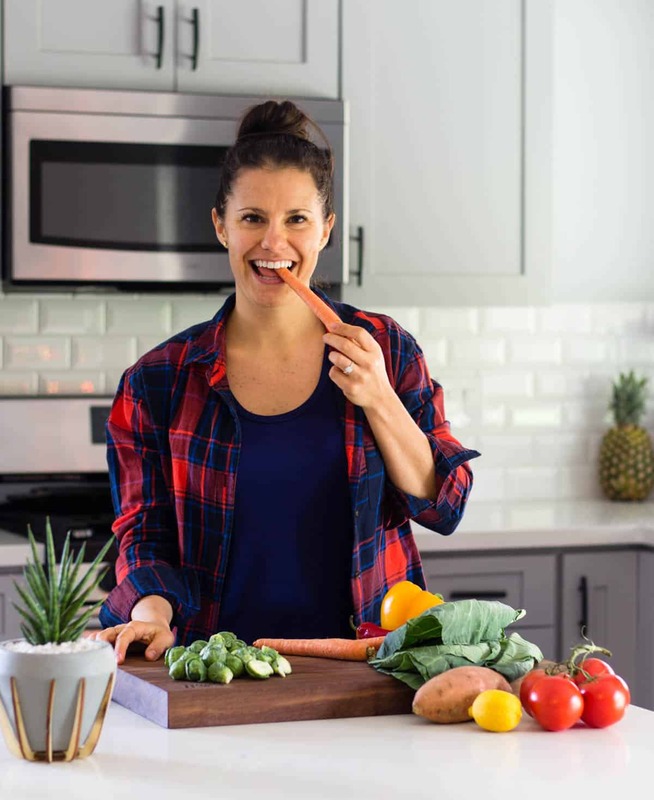 Yellowbird just launched their organic line which I’m so excited about! Their new organic line has no added sugar and is sweetened with things like dates, raisins, and fresh juice. The sauces are perfect if you are doing a Whole30, follow a paleo diet, or don’t want any added sugar in your condiments. 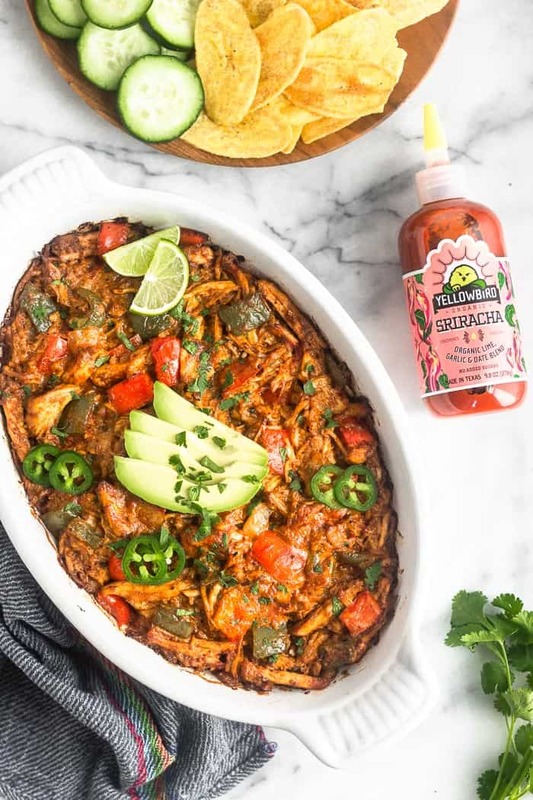 I’m absolutely in love with them and used the organic Sriracha to give this enchilada chicken dip a little kick. 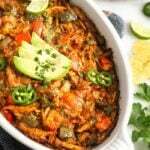 Making healthy chicken enchilada dip is really quite simple. 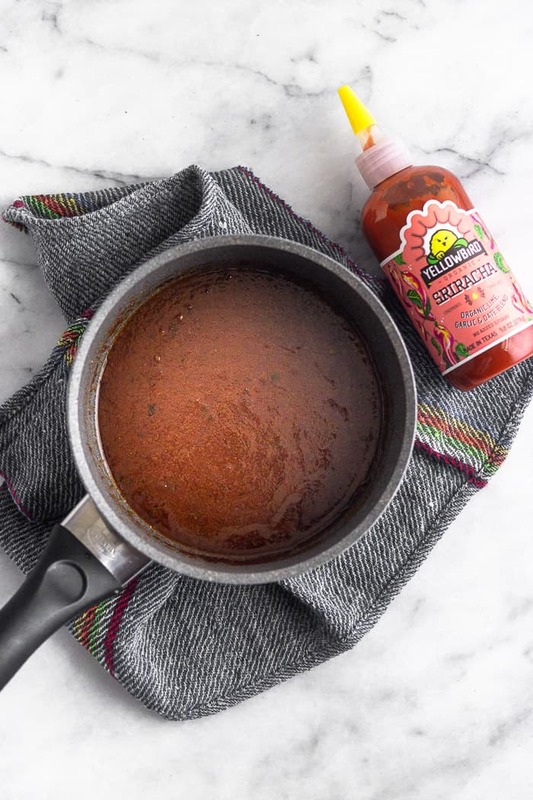 The ingredient list looks long, but a lot of that has to do with the homemade enchilada sauce, which really takes the dip to the next level. 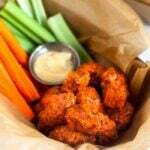 Besides the sauce ingredients, you only need a few veggies, chicken, and mayo. 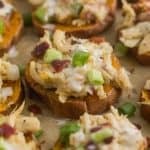 Most of the ingredients are pantry staples that you probably already at your house! First, make the sauce by adding the ghee and spices to a small saucepan, letting it get warm. Once it is melted, add the chicken broth, tomato paste, and sriracha and whisk to combine. Set aside. Next make the dip. In a large pan, add ghee and sauté the onions until softened. Add peppers and cook a little more, then cauliflower rice and cook until soft. Mix in the chicken with chili powder. 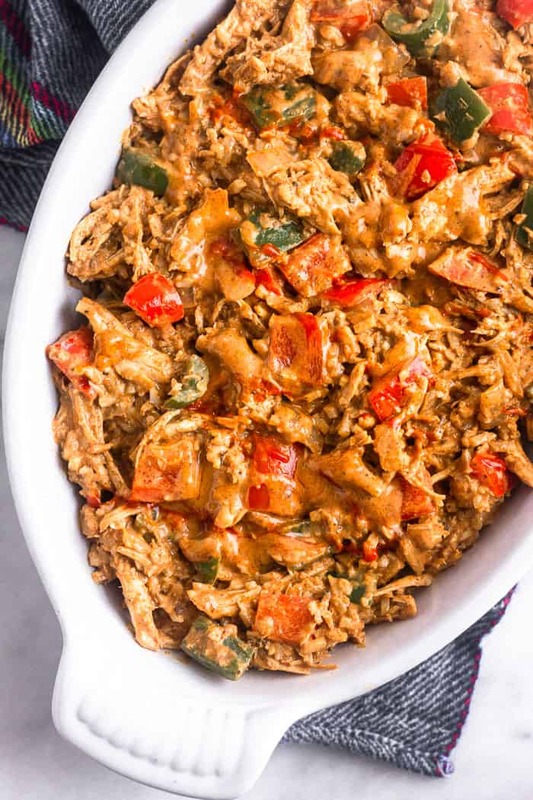 Add the chicken and veggie mixture to a large bowl and stir in enchilada sauce and mayo, making sure it’s thoroughly mixed. Transfer mixture to a greased dish (I used a 1.7 quart casserole dish) and bake for about 25-30 minutes until hot and crispy on the top. 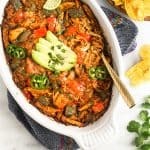 Can I add cheese to chicken enchilada dip? 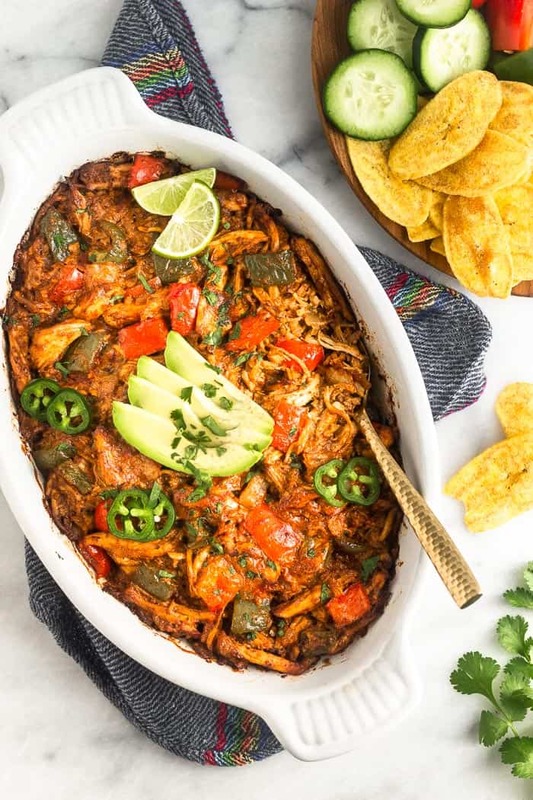 I made this dip Whole30 and paleo, but I say HECK YES! Cheese makes a great addition and will take it to the next level. Grate whatever flavor you like (cheddar or a Mexican blend would be delicious) on top and bake it as directed. We have shredded chicken in our house at all times. It makes for super easy meals during the week. 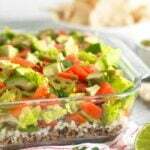 I also use it in different things throughout this week, like making this dip. My go-to way is in my crockpot, but you can also make it in the Instant Pot as well. 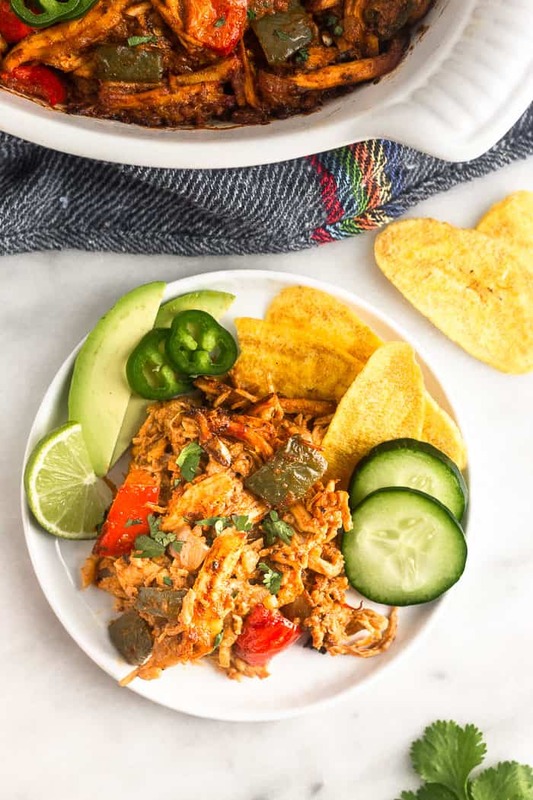 Check out how to make shredded chicken 2 ways for all the details! You can also boil chicken breasts in water until cooked through, shredding it when it cools a bit. If you don’t want to make it, or don’t have time, just use a store bought rotisserie chicken! Make the enchilada sauce. In a small saucepan, add ghee over medium-low heat and let it melt, about 1 minute. Add tomato paste and spices and whisk to combine. Add broth and sriracha and stir to combine. Bring it to a slow simmer and let simmer for 3-4 minutes until thickened. Season with salt and pepper to taste. Remove from heat and set aside. In a large sauté pan, add 1 teaspoon ghee over medium heat and let it get hot, about 30 seconds. Add onion and sauté for 3-4 minutes until slightly softened, stirring occasionally. Add peppers and sauté for another 3 minutes, stirring occasionally. Add cauliflower rice and cook for another 4 minutes until soft. 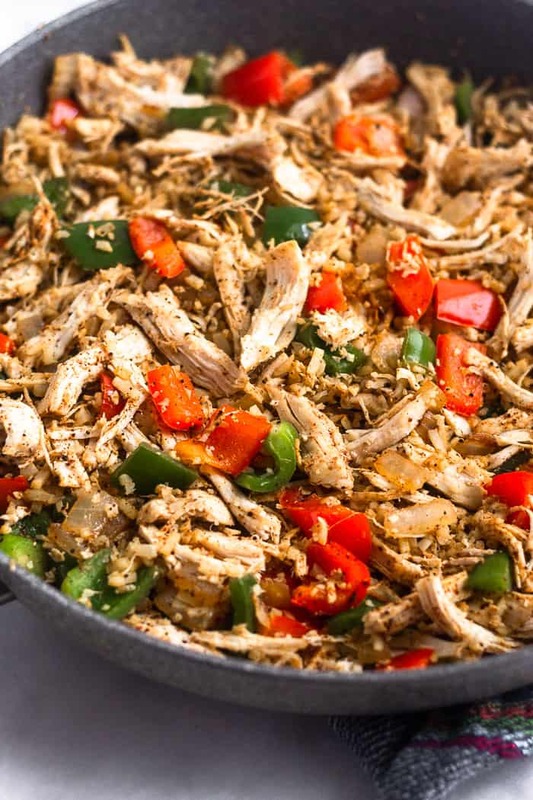 Turn off heat and stir in shredded chicken, chili powder, and salt an pepper to taste. Add chicken and veggie mixture into a large bowl. Add enchilada sauce and mayo and mix well to combine. Grease a baking dish (I used a 1.7 quart au gratin dish, but am 8x8 would work) and add enchilada mixture. Bake for 25-30 minutes until hot and golden brown on top. Eat with chips veggies, or whatever you like!